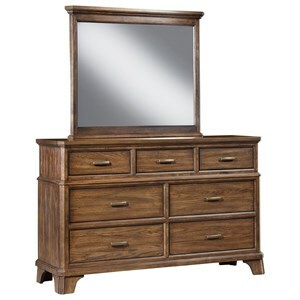 Combine this dresser and mirror to complete your bedroom furnishings. 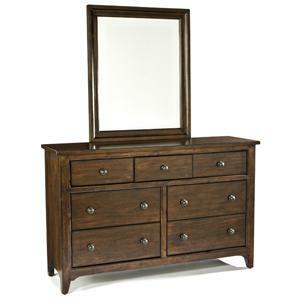 Functioning as a convenient changing station and a striking piece of décor, this dresser and mirror set will delight you every time you look at it. 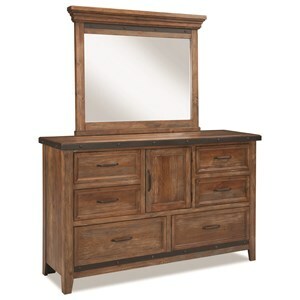 Built with oak veneers and finished in a warm medium brown, this piece incorporates a distinctively mission style influence. Light crown moulding on the mirror and metal handles on the drawer fronts contribute a tasteful amount of visual interest. 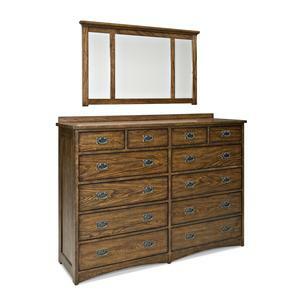 The Pasadena Revival Eight-Drawer Dresser with Wood-Framed Landscape Mirror by Intercon at Sadler's Home Furnishings in the Anchorage, Fairbanks, Sterling, Alaska area. Product availability may vary. Contact us for the most current availability on this product. Showcasing a distinctive Arts and Crafts flavor with Mission-style influence, the Pasadena Revival bedroom and dining collection exemplifies simple, high-quality construction. 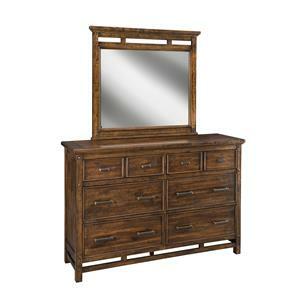 Crafted from Oak veneers with a medium brown finish, the look of these pieces is consistently warm and inviting. 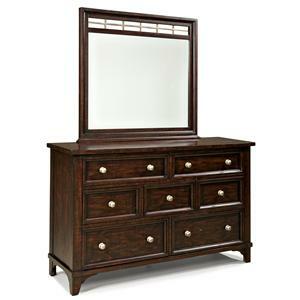 Classic mission slat details and metal handle drawer pulls give a strong impression of authenticity. If you seek an earnest, versatile home aesthetic, this collection is for you. Ranging from rustic nostalgia to contemporary minimalism, these bedroom and dining pieces adapt well to a variety of decorating styles and color schemes. 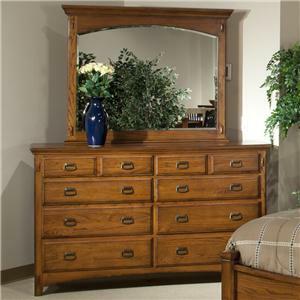 The Pasadena Revival collection is a great option if you are looking for Mission furniture in the Anchorage, Fairbanks, Sterling, Alaska area. 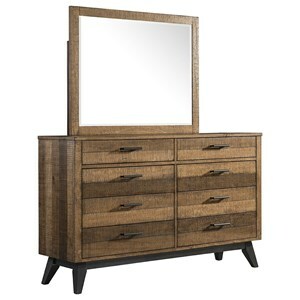 Browse other items in the Pasadena Revival collection from Sadler's Home Furnishings in the Anchorage, Fairbanks, Sterling, Alaska area.